Developed by Serangoon Green Pte. Ltd.
Park Colonial is an upcoming residential development, developed by prestigious Singapore-listed developer CEL Development Pte Ltd. Located along Woodleigh Lane, District 13, Singapore, the condo offers 735 residential units, within walking distance to Woodleigh MRT Station. Read more. 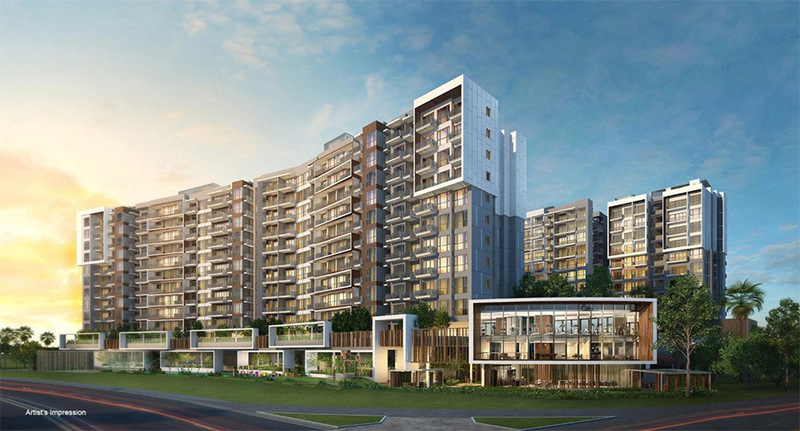 The Tapestry Tampines is a premier residential development, located along Tampines Avenue 10, District 18, Singapore. Developed by reputable City Developments Limited. Comprising of 7 blockss with 15 floors, the project provides 861 exclusive units.. Read more. The Garden Residences is a brand new residential condominium along Serangoon North Avenue 1 in District 19, Singapore. It includes 505 glamorous units on a land site 184,954 sqft. Developed by a joint-venture company between Keppel land and Wing Tai Holdings Read more. Call +65 6303 0574 for The Registration !!! Forest Woods Condo - New 99 years condo by CDL near Bidadari !! Forest Woods at Lorong Lew Lian is a 99 years condo by the consortium of City Developments (CDL), Hong Leong Holdings and TID that put the top bid of S$321 million. Stand tall on an ample of 14,001.5 sqm along Lorong Lew Lian & Paya Lebar Road in Serangoon, this prestigious condo can be home to 519 residential apartment units. "Some developers may wish to replenish their land banks given the more subdued market, and the absolute price quantum of this land parcel might be within the range of quite a few large developers and consortiums," SLP International executive director Nicholas Mak noted. Inspired by the historical context of “Serangoon” which is thought to be derived from the ranggong bird, a species of stork which abounded in the riverine swamps around Serangoon River or the Rangoon River, the development aims to capture the sense of nostalgia and lush shades of forest that is present on the existing site. The architectural language is kept to pure forms, bridging between the landscape and the urban. The box and frame design language takes a humbler approach to complement the landscape, allowing the development to grow into a living forest. The riparian nature of the development immediately stands out among the urban neighborhood, recreating the experience of a sanctuary landscape in the heart of the Serangoon estate. The landscape concept is to offer a lifestyle that is to engage more with the nature. A living that is among the woods, celebrating the daily enjoyment together with the large range of native and exotic landscape. The development is more than a net for the buyers. It’s also a platform for the kids to grow up with the nature, a place that they call home. Forest Woods at Lorong Lew Lian draw the attention of 6 bidders and makes its own brand name with its prime location. 11 developers submitted bids for this site. Just 3 minute-walking or 500m to get to the interchange Serangoon MRT Station for the Circle lines and North East, some steps to Serangoon bus interchange, apparently, Forest Woods Residences beckon the vista of all conveniences at the doorstep to its residents. The accessibility to Pan Island Expressway (PIE) and CTE will provide the seamless connection for Forest Woods Residences' residents to not only main parts on the island but also many urban amenities like Orchard Road, NEX Mall. More leisure conveniences, entertainment also await you at Upper Serangoon Shopping Centre and Heartland Mall. In addition, the Lorong Lew Lian site is also bounded by Bidadari Estate and The Paya Lebar commercial hub where are vibrant for shoppers, commuters and office- workers with an opulent shops, retail and office buildings popping up in and around, there is no lack of excitement for residents' life everyday. Just 5 minute-walking to Serangoon MRT Station and Bus Interchange. Well-connected to 2 MRT Lines: The North East Line (NEL) and Circle Lines (CL) and 2 Expressways to get to you everywhere (CTE / KPE). 5-minute walking to NEX Shopping Mall. Reputable Schools within the radius of 1km like Maris Stella High, Paya Lebar Methodist Girls’ Primary and Secondary School, Yang Zheng Primary, St. Gabriel’s Secondary School. 60 high-end facilities such as 75m long pool, 150m Adventure Zone, 24 hour gym, exclusive welcome lobby with wifi and a stunning 3-storey clubhouse for the bliss right at your home. The Residential Service Counter at the welcoming lobby. The premium home with Bosch and fittings from Grohe, as well as many branded appliances. Smart Home Automation for all exclusive apartments. Flexible layout and selection of finishes to suit your lifestyle. Welcome to Twin View! A new condo launch in Sengkang, centrally situated along West Coast Vale, District 5, Singapore. developed by China Construction Development. Comprising of 500 stunning apartmentson the land size 16,378 sqm. Read more. By submitting this form, I agree to be contacted by Forest Woods 's appointed sales team and its associates from forestwoodresidences.org.